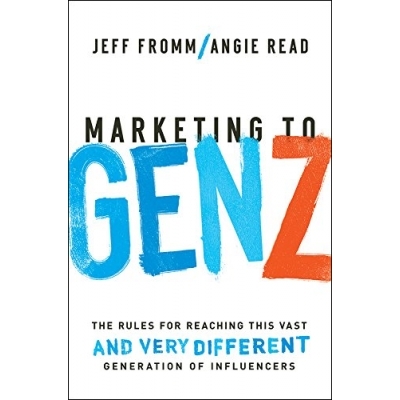 "Marketing to Gen Z by Jeff Fromm and Angie Read"
Save 50% While Supplies Last! Today's teens are a force to be reckoned with. Businesses focused on Millennials ... beware! Their successors are right around the corner-promising bigger challenges, but much greater opportunities. 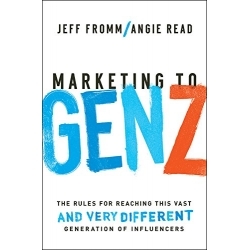 Drawn from original quantitative research and interviews, Marketing to Gen Z paints a fascinating portrait of the newest buyers now entering the scene. Having internalized the lessons of the Great Recession, this pivotal generation blends the pragmatism and work ethic of older generations with the high ideals and digital prowess of youth. For brands, reaching this mobile-first and socially conscious cohort requires real change, not just tweaks to the Millennial plan. By 2020, Generation Z is expected to comprise 40 percent of all consumers. The time to learn who they are and what they want is NOW.